Are you ready to Re-imagine Active Aging? Passport for Wellness joins senior activity professionals from all over the world this week at ICAA Conference 2016! As you read this, the Passport for Wellness staff is meeting with active aging & senior activity professionals from all over the world to re-imagine brain wellness and fitness. This year’s conference and forum, held in our hometown of Orlando, FL, aims to change the way we think about active aging. Yesterday, Harvard neurospsychiatrist Dr. John Ratey spoke to the ICAA Conference audience about how important physical fitness is to brain wellness. For more information from Harvard on how these two important areas intersect, click here. You can do your part to educate senior loved ones on the benefit of exercise. Whether you’re an activity director, senior residence owner, or a health professional, exploring active aging with patients/residents and their family may help. Here’s a fact sheet on the importance of senior exercise from NIH Senior Health. Get creative with your favorite seniors! Take a walk, do a little dancing, or reintroduce them to their favorite childhood activity. If you’re unsure about your senior’s level of physical fitness and ability, talk to their doctor. You can come up with a fitness plan that’s right for them. 5. 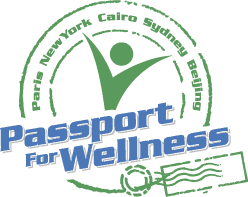 Try Passport For Wellness! 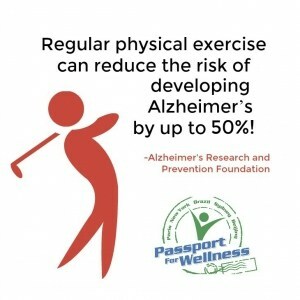 Passport for wellness is the #1 video exercise program for seniors, and benefits them physically, mentally, and socially. For a true game changing exercise program for your home, ALF, or senior center, visit our Passport for Wellness activity homepage today. A few easy steps is all it takes to re-imagine active aging for seniors! 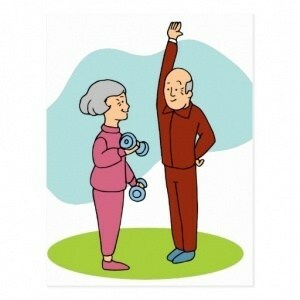 Contact Us about our senior exercise programs today at [email protected].